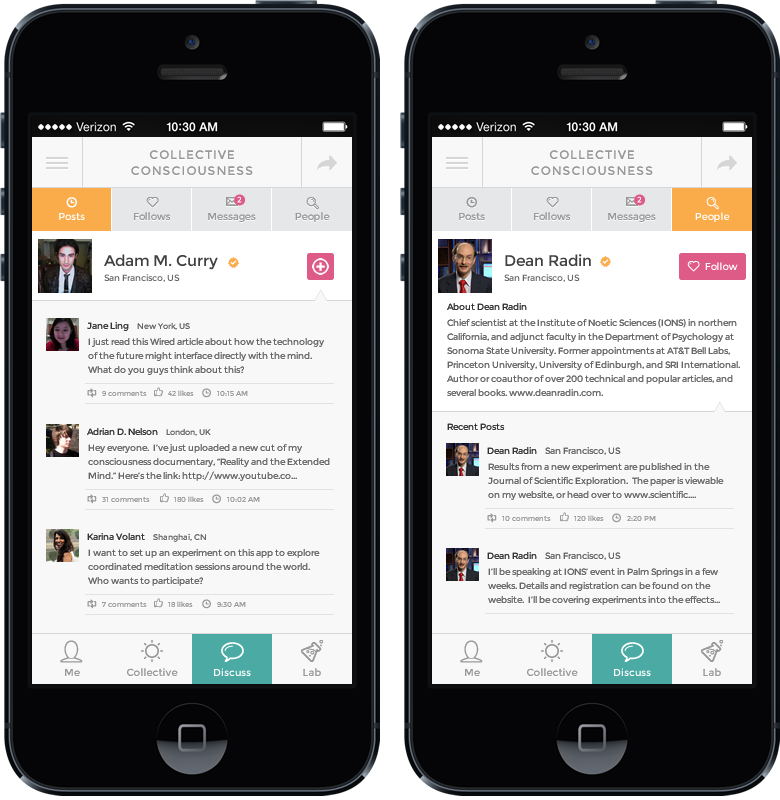 Founder, Adam Curry and research scientist, Dean Radin, with Consciousness Project.com discuss the Collective Consciousness Smartphone Application, coming to you in late 2014. 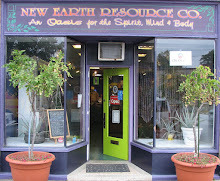 "A radical new technology to explore the power of consciousness and the nature of reality. The world's largest consciousness research project in a free app: coming late 2014." 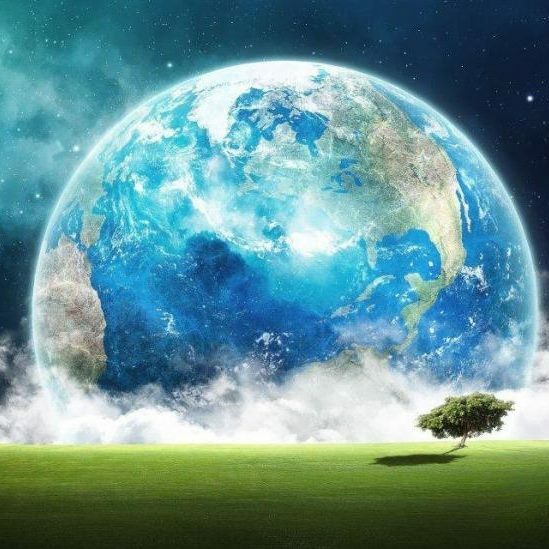 Our purpose is to promote deeper thinking about consciousness, explore the boundaries between mind and reality through experiments, and help expand our technological horizon. We're not aiming to prove anything; this is a fun and interesting project into a subject that millions of people care about. But what we find may impact our society by giving us a better understanding of what it means to say "we're all connected." 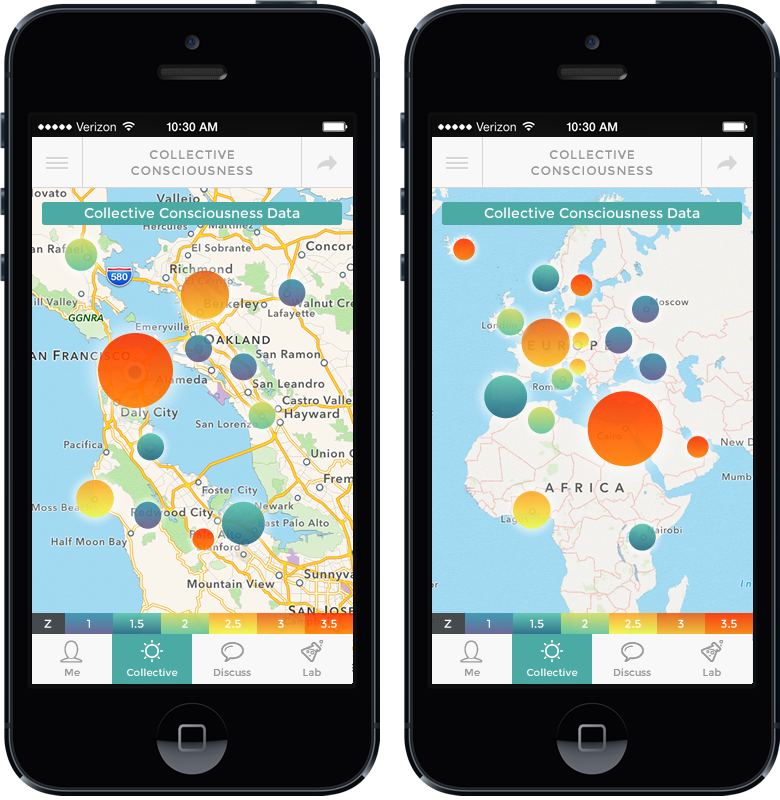 The Collective Consciousness App is the result of 3 years of R&D. When downloaded, the app converts hardware functions on your phone into a physical random number generator. This is what creates the chaotic system that may allow the influence of your mind to show up on your phone. This data is uploaded anonymously to our servers, where combined with everyone else's, we can create a living network of global consciousness information in real-time. Even though we don't fully understand these mysterious mind-matter effects, we think we know enough about it now to develop the first examples of a radically new kind of "Consciousness Technology." A technology that would work by harnessing this possible connection between mind and the fabric of reality. 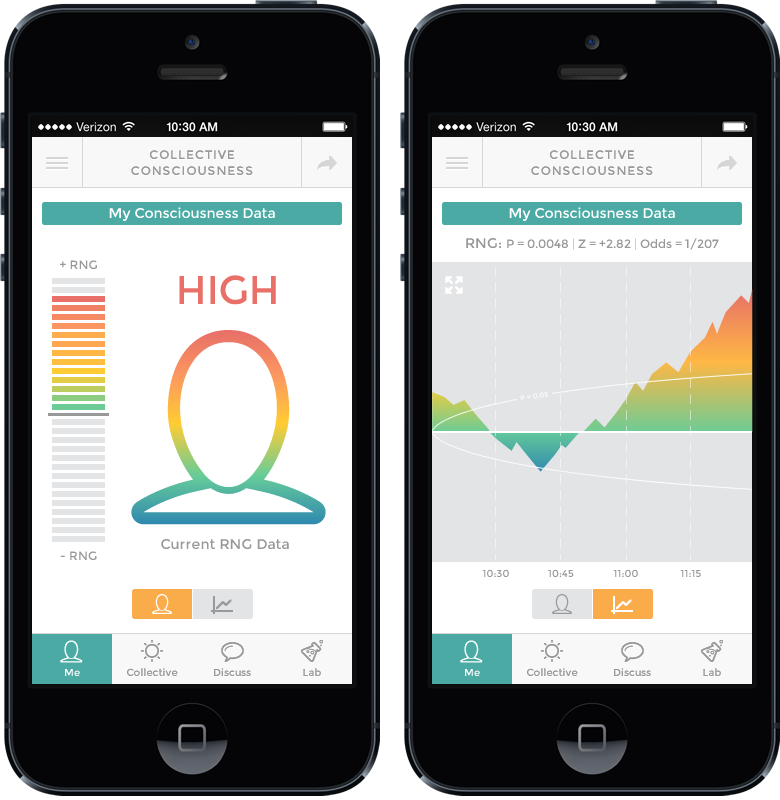 Some organizations have claimed that mass meditation can have a small impact on the world... could an experiment with this app measure it? If mass consciousness effects are real, do they diminish with distance from a polarizing event, or do they follow more non-local principles? Does this shed any light on the wisdom traditions like Buddhism in the east, or Jungian psychology in the west? These are some of the questions we could start to answer with this project. These screens will allow you to explore how your own mind might be influencing the chaotic system created in your phone. They are simply graphs of what the physical random number generator is doing from moment to moment. There are two views here. The first is a non-technical view that shows you the "strength" of any influence detected in the RNG. You can maybe think of it as a sort of personal "mind meter." The second is a technical view, that displays what the RNG is actually doing in statistical terms. This graph can help you determine the likelihood that your mind is related to the effect you see, and not simply chance. The straight line in the middle is the theoretical expectation (P=0.5); the two parabolas indicate the common P=0.05 threshold of significance. The Collective screen is a real-time picture of global consciousness data, overlaid on a browsable map. It's essentially an aggregation of individual consciousness data from around the world. This screen can provide an intriguing look into what kind of "consciousness activity" is taking place both locally and abroad. The colors and sizes of the dots represent spikes in the data, and how likely it is that these are not simply due to chance. For example, if app users living in San Francisco or Cairo were to collectively react to some meaningful event - in a way that impacted the RNG on their phone - this mass reaction may show up on this screen. Note that this feature is not a formal experiment, but an interesting view into potential networked consciousness effects. Formal experiments will be carried out by our science team. 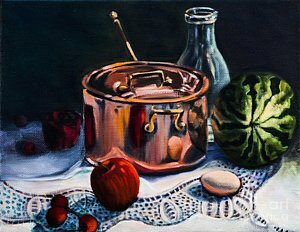 This is a tiny social network for sharing ideas about consciousness, physical reality, and what it all means. Connect with new people, share experiences, and follow others for updates. Millions of people are passionate about consciousness from different angles. We think this is the perfect platform to bring them all together into a useful community. 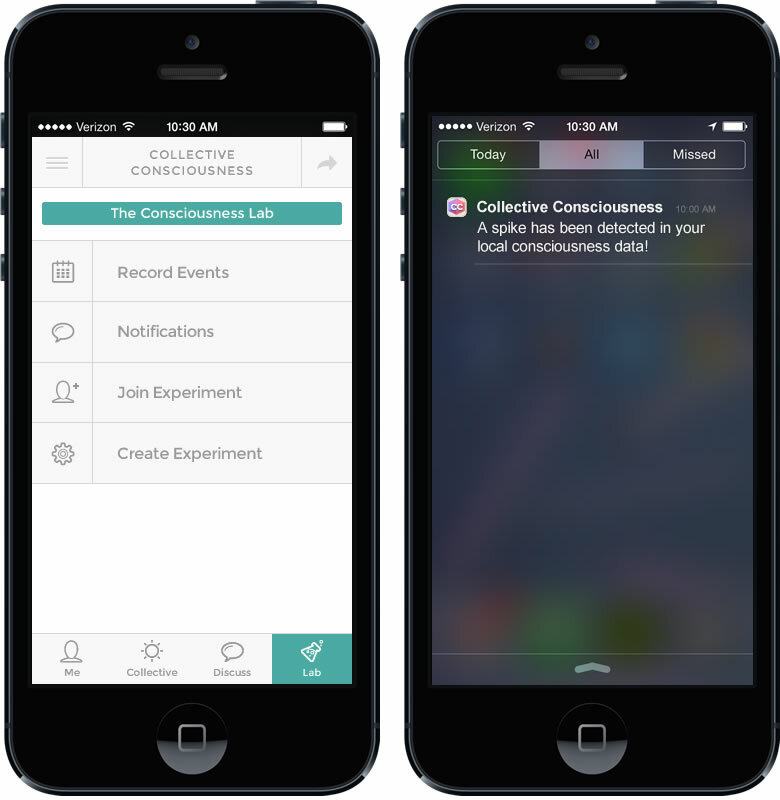 The Consciousness Lab is a place for us to add new features to the app. These will be experimental tools and user experience add-ons, which we'll release in updates as they're developed. The app will send you push notifications on your phone when "spikes" are detected in your local RNG data stream. Are the notifications related to your states of mind? It's up to you to draw your own conclusions! If you think there may be more to reality than we've discovered, this app is a good way to accelerate new discoveries. If you're fascinated by the idea of exploring how your own mind might be deeply connected to your environment, we hope this project can let you see that for yourself. And if you're excited about the possibility of consciousness technology, tapping into the global mind, and creating a platform that could become the consciousness layer of the Internet, this is your project! You'll be involved in making something truly, truly, truly unique. This app will be free, and is slated for release in late 2014. Follow us on Facebook or Twitter, or join our Newsletter for updates.